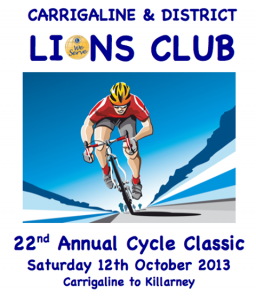 Online registration is now available for the Carrigaline Lions 2014 Cycle Classic. The 2014 Carrigaline & District Lions Cycle Classic will take place on Saturday 11th October and will go from Carrigaline to Kenmare. 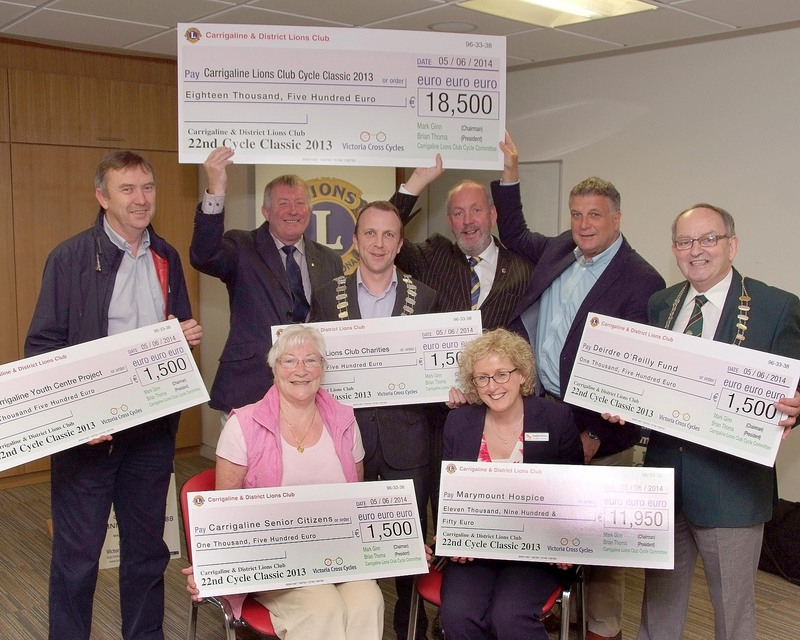 A cheque presentation for last year’s event was held recently at Marymount Hospice where €18,500 was handed out to various charities including almost €12,000 to Marymount. 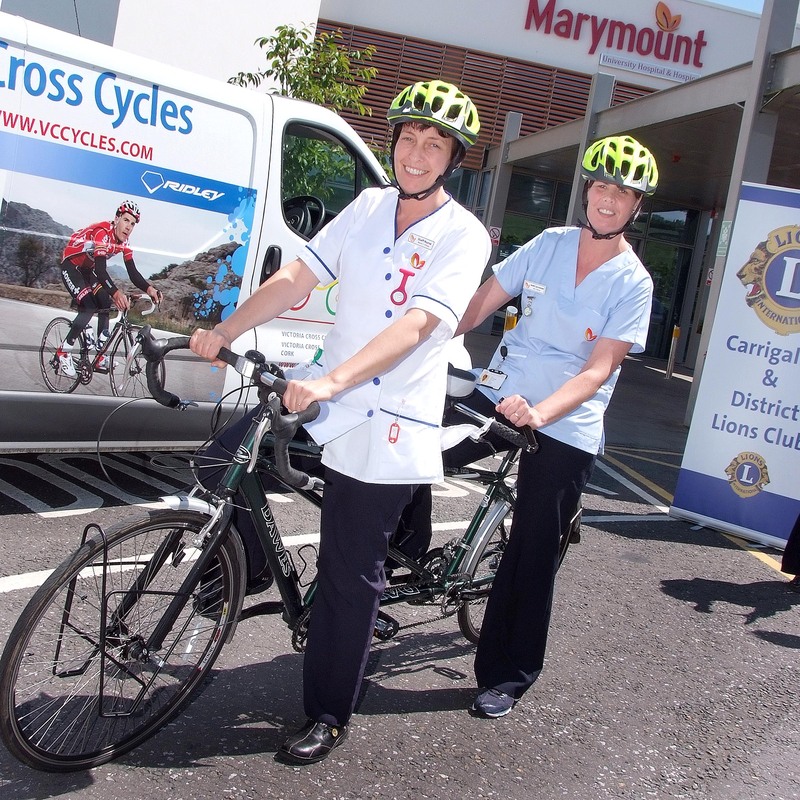 Pictured at Marymount Hospice, Cork, at the launch of the 2014 Carrigaline & District Lions Club Cycle Classic from Carrigaline to Kenmare, were from left, Marie O’Shea, Staff Nurse and Ber O’Brien, Health Care Assistant. Pictured at Marymount Hospice, Cork, at the launch of the 2014 Carrigaline & District Lions Club Cycle Classic from Carrigaline to Kenmare, were from left, Pat O’Leary, Carrigaline Lions Club ; Brian Thoma, President, Carrigaline & District Lions Club ; John O’Connor, Victoria Cross Cycles ( Sponsors) ; Marie O’Shea, Staff Nurse and Ber O’Brien, Health Care Assistant ; Mark Ginn, Cycle Classic Co-Ordinator and James O’Sullivan, Carrigaline Lions Club. 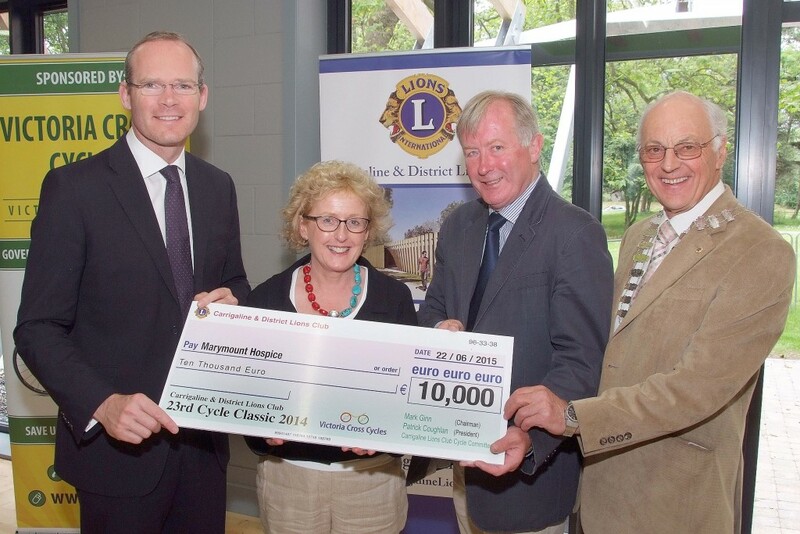 Pictured at the presentation of the proceeds of the Carrigaline & District Lions Club Cycle Classic 2013, were seated, from left, Agnes O’Reilly, Carrigaline Senior Citizens Assoc. 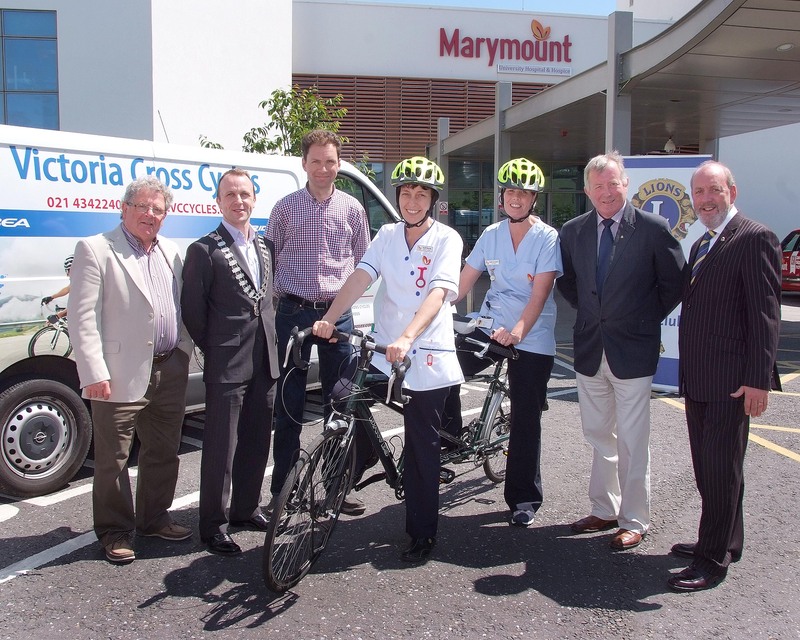 ; Dr. Marie Murphy, Consultant Physician, Marymount Hospice. Standing, from left, Sean Duggan, Carrigaline Youth Centre Project ; Mark Ginn, Cycle Classic Committee ; Brian Thoma, President, Carrigaline & District Lions Club ; James O’Sullivan, Cycle Classic Committee ; Sean Nevin, Cycle Classic Committee and Pat O’Brien, Vice District Governor, Lions Clubs of Ireland. 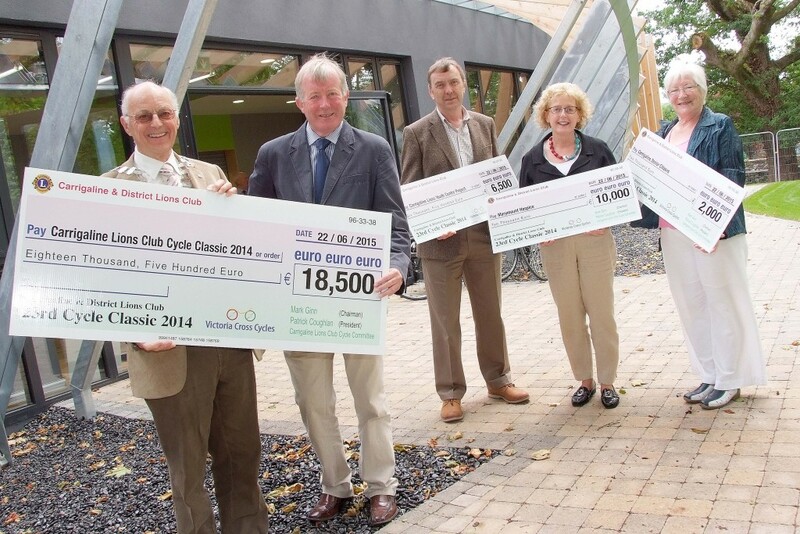 The 2013 Cycle Classic was held on Saturday 12th October. 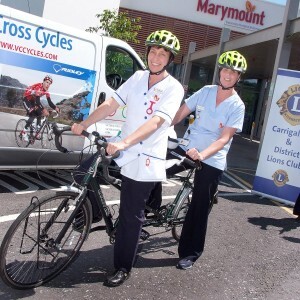 This year’s Annual Cycle Classic takes place on Saturday 12th October and we are returning to one of our most popular destinations, Killarney in Co Kerry. 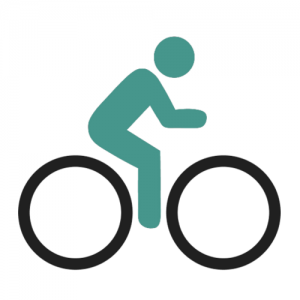 The route from Carrigaline to Killarney is a very good challenge for the enthusiastic cyclist and we will also cater for the fun cyclist. It is hoped that this years’ event will be bigger and better than ever. This is the 22nd year of the cycle which started in 1991 with 18 cyclists who raised €2,500. Since then, we have raised over €600,000 for various charities including €300,000 for Marymount Hospice. CLOSING DATE FOR ENTRIES IS FRIDAY 27TH SEPTEMBER!!!!! 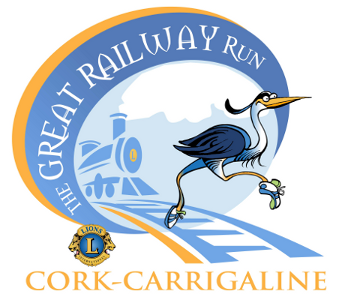 For further information or contact Mark Ginn, Station Road, Carrigaline. Read about the 2012 event here. 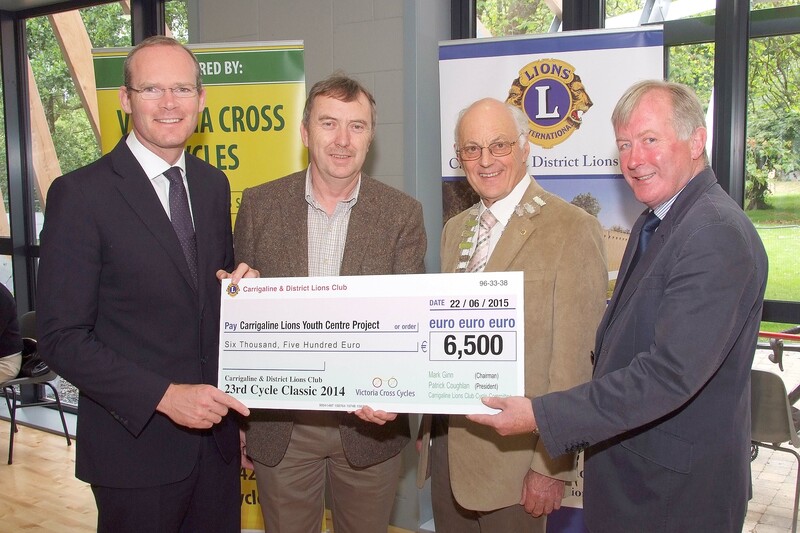 John Middleton, Branch Manager, Ulster Bank, Carrigaline presents a sponsorship cheque to James O’Sullivan, Cycle Classic Committee Chairman. 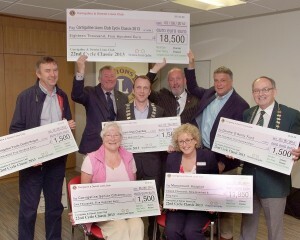 Included from left, (Standing)Sean Og O’hAlpin, UB ; Sam Beamish, UB ; Adrian O’Herlihy, President, Carrigaline & District Lions Club. 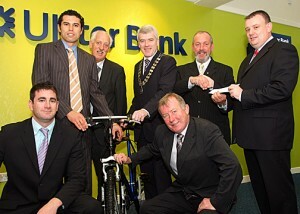 In front are Neil Alllister,UB and Mark Ginn, Cycle Classic Committee. 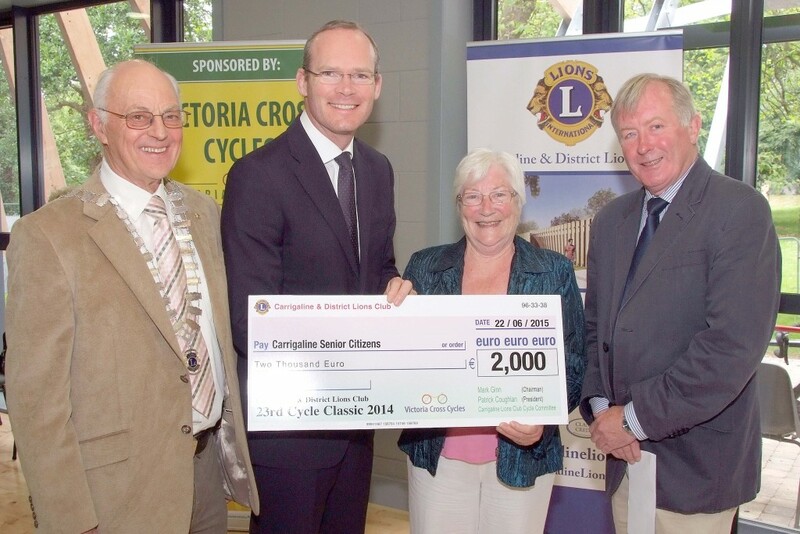 The Cycle Classic takes place on Saturday October 11th from Carrigaline to Dungarvan.